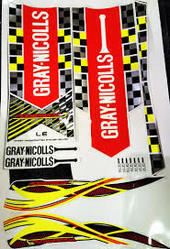 We deal in 3D Cricket Bat Sticker. We are successfully meeting the requirements of our clients by manufacturing the best quality range of 3D Embossed Cricket Bat Stickers. Impeccable finish Price Range - 15 rs.- 40 rs. These 3D Paper Stickers can be availed in multiple designs. To be Used preferably forSnacksConfectionery Industries . As a leading company we are engaged in offering a varying range of 3d Foam Sticker. These stickers have been designed to provide a comfortable grip. These stickers are known for their high quality and durability. These stickers are highly durable and also provide an appealing look. These can be availed of at reasonable prices. 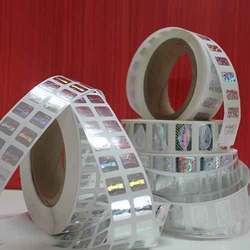 We are engaged in manufacturing of 3D Metal Sticker to our clients.